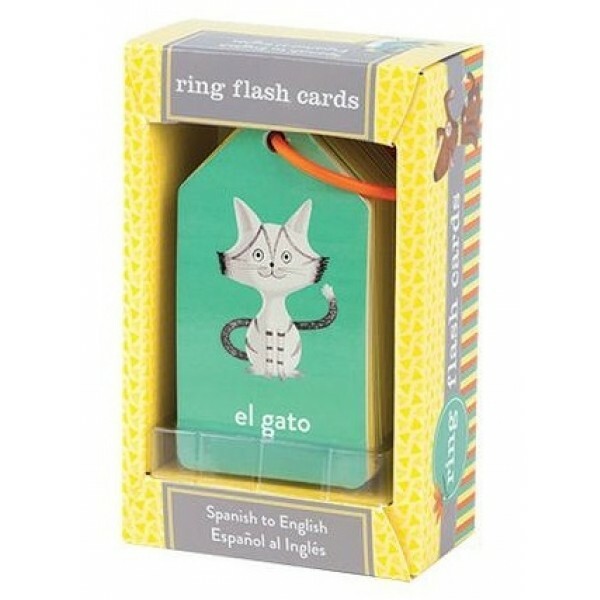 Encourage love of language with these colorful Spanish to English flash cards from MudPuppy. 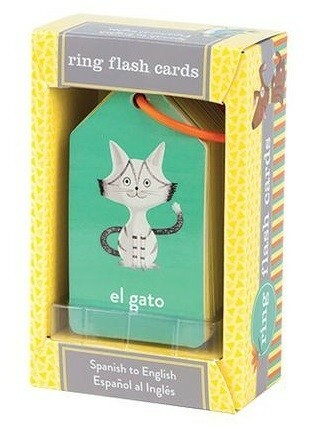 Each double-sided card features charming illustrations of 26 basic Spanish and English nouns. The re-closable ring makes these flash cards convenient for everyday, on-the-go use. These cards can also be removed from the ring to use for memory and matching games, or to hang as decorations in a nursery or classroom.